Sol Ring è _l'artefatto_ per rampare. Must have. Sword of the Animist è molto utile per rampare delle terre sul campo di battaglia. Caged Sun è fortissimo nei mazzi mono colore come il tuo. Bad Moon è carina, ma pompa _tutte_ le creature nere. Victimize è ottima graveyard recursion. Living Death ti fa riprendere dai boardwipe. Bloodcrazed Paladin è molto grosso se lo tiri dopo un boardwipe. Cover of Darkness fa i grossi buchi. Cauldron of Souls ha buone sinergie se riesci a dare poi segnalini +1/+1, che annullano i -1/-1. Myriad Landscape è un'ottimo ramp. Mortuary Mire ti dà nuovamente accesso ad una creatura che è finita al cimitero. Cabal Coffers è op, facendoti fare assurde quantità di mana, ma è molto costosa. Cabal Stronghold è la versione povera di Cabal Coffers, ma sempre forte in lategame. Crypt of Agadeem è la versione povera di Cabal Stronghold, ma è anche meglio di un pugno negli occhi perché fa mana nero anche di base. Black Market è un sacco di mana nero gratis, molto meglio di Dark Ritual. Nirkana Revenant è un vampiro che ti raddoppia il mana. Yeah! Crypt Ghast non è un vampiro, ma ti sdoppia il mana. Magus of the Coffers è fottutamente Cabal Coffers, ma più facile da rimuovere. Tuttavia, anche lui non è un vampiro. Temporal Extortion è un turno bonus, oppure un sacco di danni, e costa solo 4. In Garruk's Wake è come Plague Wind, più o meno. Mutilate è super, perché i -1/-1 possono distruggere le creature indistruttibili. Puoi considerarla la versione potenziata di Languish visto che sei in mono nero. Exsanguinate è una win condition e sei pure in tema vampiro. Phyrexian Arena e Necropotence ti fanno pescare a lot, ma attento a non abusarle. Whip of Erebos dà lifelink a tutte le tue creature. In più, ti fa tornare temporaneamente le creature sul campo. Bloodhusk Ritualist, se multipotenziata abbastanza, butta un giocatore fuori dalla partita, facendogli scartare tutta la mano. Twilight Prophet è qualcosa di assurdo, che ti fa pescare, fa danni a tutti gli avversari e ti fa guadagnare vita. Champion of Dusk è un pescone enorme, e per questo si possono accettare anche un po' di danni. In più, come minimo peschi uno, perché anche lui è un vampiro. Dusk Legion Zealot è un peschino + creatura a costo 2. Defiant Bloodlord è Sanguine Bond su una creatura. Drana, Liberator of Malakir mette tanti bei segnalini sui tuoi vampiri, inoltre può fare anche da comandante. Guul Draz Overseer è un bel buff tutte le volte che entra una swamp. Necropolis Regent è un gran bel vampiro da avere sul campo di battaglia. Driver of the Dead è da tenere in considerazione, anche se purtroppo è limitato in ciò che può prendere dal cimitero. Bloodline Necromancer è la versione forte di quello di prima. Gifted Aetherborn ha delle belle keyword e costa 2. Yahenni, Undying Partisan è indistruttibile in ogni momento in cui potresti averne bisogno, tipo se viene tirato un boardwipe. Mirri the Cursed è fortissima. Bishop of the Bloodstained è un buon ammontare di danni, ma alla fine, è forte solo se sei già in vantaggio, quindi è un po' troppo situazionale. Soul Collector è quasi sempre qualcosa che non si vuole bloccare. Kalitas, Bloodchief of Ghet è removal ed anche token producer. Kalitas, Traitor of Ghet è fortissimo, ma costicchia molto. Vedi tu cosa togliere, se vuoi ti mando una lista di cosa toglierei io su whatsapp. Inoltre, secondo me, potresti considerare un paio di terre in meno, siccome la tua curva di mana, per come è adesso il mazzo, è molto bassa. Tu nel caso cambia qualche carta, e ricontrolla la curva, poi ti adegui di conseguenza. So if Wrath of God was the result of the cascade (instead of Soul Collector), would Vampiric Dragon and the vamprire token be destroyed? How would abilities from Edgar Markov and Maelstrom Nexus interact and trigger in the stack? 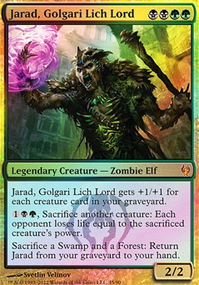 Playing Edgar Markov as commander, if I have Maelstrom Nexus in the battlefield and cast a Vampiric Dragon as my 1st spell, assuming I will cascade into Soul Collector. How do triggers stack? Do I get to choose any orders? I'm running Stromkirk Captain. He's baller, especially with eminence. Indulgent Aristocrat is also in the deck, and is insane. You can spread counters really fast in this build. So... As for the rest, in order: I ran Adaptive Automaton and Metallic Mimic in my first draft. Automaton underpreformed, whereas Mimic was hit and miss. Markov only triggers on CASTING vampires, so I ended up dropping both of them for more vampires. Eldrazi Monument and Akroma's Memorial are both great, but again, I wanted to cast vampires. They'll help you get further ahead, but having a vampire can help you catch up or rebuild. So, its a matter of taste. I wouldn't run too many of these artifact "lord" effects, Vanquisher's Banner only makes the cut because it draws me cards. Obelisk of Urd is underwhelming, and not a vampire. Coat of Arms helps other people's tribes, so... pass. Too risky. But DUUUUDE. I never even heard of Stoneforge Masterwork. Not sure what to cut for it either, at this point the deck is pretty tight, and there isn't room to cut another mana land. Still, that definitely IS in the ideal Markov build. I'll have to find room for it. 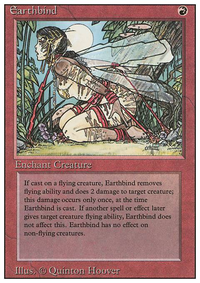 Drana, Kalastria Bloodchief is great, but too expensive, and doesn't synergize a lot with the rest of the deck. I could drop Olivia Voldaren for her, but then I'm upping my curve. 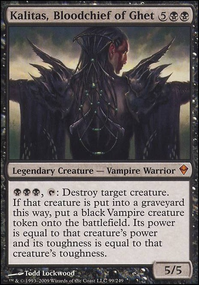 Malakir Bloodwitch is cool, but this also isn't the sort of token deck where you have 40+ tokens, it's the sort of deck where you have 5-8 vampires and they're all getting huge. Still, the protection from white is solid, and you'll gain a lot of life. I'd say run it over Soul Collector to taste. Anowon, the Ruin Sage eats my +1/+1 lords and my goats. I don't like that, especially the lord part. He's cool, but I think he's more of a stax stack guy than a Vampire lord. 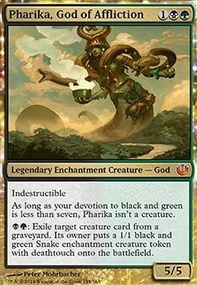 Gatekeeper of Malakir is cool, but he's situational. 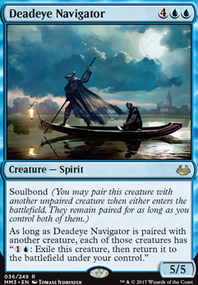 If opponents are relying on a single hexproof creature he's your guy, but other than that... Underwhelming IMO. At least, without other stax pieces. Olivia, Mobilized for War very nearly made it, for having madness and providing haste. But there are only 3 non-vampires in the deck for her vampire making effect, and I only have a little splash of madness. Also, you can only discard as you cast, meaning instant speed madness shenanigans don't work with her. Stromkirk Condemned made way more sense as a madness enabler/lord. 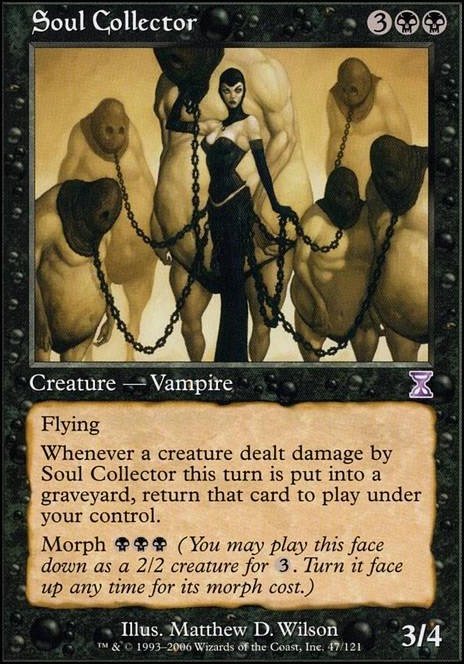 Still, she's a 3 drop vampire, and there are several creatures that she could be swapped out for in a deck with more reanimation/madness. Teysa, Envoy of Ghosts, Gisela, the Broken Blade, Bruna, the Fading Light, Thalia, Heretic Cathar, Archangel Avacyn Flip, Avacyn, Angel of Hope, Angelic Skirmisher, Soul Warden, Soul's Attendant, Dawnglare Invoker,Serra's Liturgy, Soul Collector, Voldaren Pariah Flip, Blood Tribute Zendikar art, Swords to Plowshares ice age art, Sever the Bloodline, Drana, Kalastria Bloodchief, Guul Draz Vampire, Shadow Alley Denizen, Archetype of Finality, Ivory Mask, Tainted Remedy, Agent of Masks, Tithe Drinker. gdm1989 thanks for the suggestions! 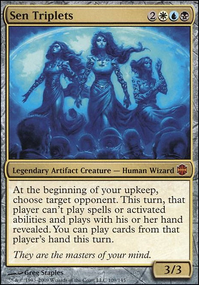 Sorceress Queen is just a 1/1 body, I can't see any way how it could be good in the deck.